You cannot have true freedom when it rests solely on the arbitrary decisions of a small group of individuals at a given time. 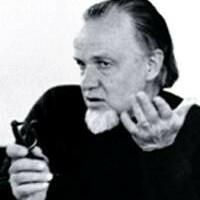 Dr. Francis Schaeffer predicted in 1982 the judicial tyranny that was coming 30+ years later, when our U.S. Supreme Court would be legislating from the bench. When you replace absolute morality with Relativism, you will inevitably end up with tyranny. It is not too late for us to heed and apply these prophetic words spoken by God’s messenger, Dr. Schaeffer. We simply MUST hear these important words once again. Dr. Schaeffer also predicted and talked about the need for a Biblical theology of civil disobedience. You can get a copy of the book and DVD of A Christian Manifesto to hear this important and timely prophetic message once again. Israel Wayne is an Author and Conference Speaker and Director Family Renewal, LLC.